It’s Christmas Eve, which means it’s the final day of this year’s virtual LEGO Advent Calendar series here on The Brothers Brick. 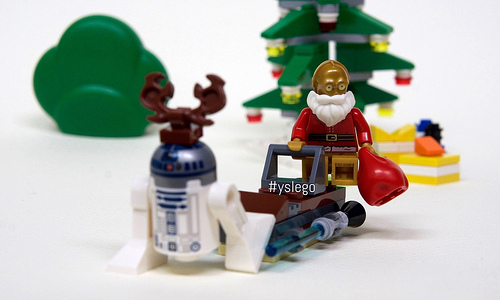 As I predicted, the lazy git C-3PO has forced the hardest-working droid in the galaxy, R2-D2, to pull him along in the sled revealed yesterday — as proved in this photo by #yslego. 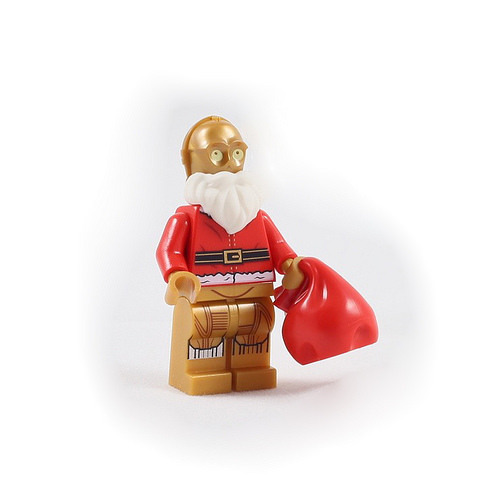 That means, of course, that the final door in the LEGO Star Wars calendar reveals Santa Threepio. You’re not fooling anyone with that beard, Goldenrod. 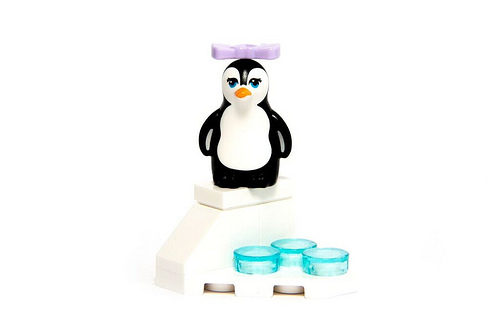 And for the LEGO Friends Advent Calendar, the culmination, the apogee, the zenith of LEGO Friends mini-kit artistry, the thrilling climax to more than three weeks of breathtaking anticipation is this … penguin atop a tiny hill. Overall, I think the LEGO Star Wars Advent Calendar provided an enjoyable mix of minifigs, accessories, and microscale vehicles — all, notably, from the Original Trilogy. In contrast, I busted out my 2012 Advent Calendar earlier this week, and was unimpressed by the Prequel-heavy minifig and mini-kit selection, culminating in a rather idiotic Santa Darth Maul. Meanwhile, the increasing sarcasm many of you probably read in my comments about the LEGO Friends Advent Calendar was a strong indication of my distaste for the baffling mini-kits. At the same time, a couple more mini-dolls would have gone a long way toward livening up the sequence, as the Star Wars calendar did. The last 24 days have been at turns boring, head-scratching, and rage-inducing, with a smattering of time-twisting errors on my part. I hope you’ve enjoyed following along at home as much as I’ve enjoyed snarking about each new pair of LEGO Star Wars and LEGO Friends mini-kits or minifigs. As a side note, this series was a true international team effort, with photographs by two of our new contributors, Alexander in Russia and Elspeth in the UK, plus editing and writing by our US team. My thanks to everyone for your help!